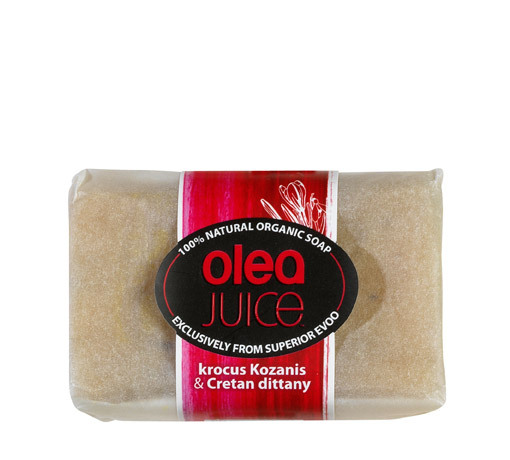 This Olea Juice™ Krocus Kozanis & Cretan dittany contains our unique high quality of Extra Virgin Olive Oil that treats all your body with exceptional caring. Once you wash your body with this bar soap, all the aromas of the luxurious Krocus Kozanis which is the best red Krocus in the world and the Cretan dittany pumper your body for the ultimate scrub experience. Saponified vegetal fats, (palm oil and palm kernel oil), water, glycerin, Olea Juice™ Extra Virgin Olive Oil, fragrance, sea salt, Krocus Kozanis and Cretan dittany.